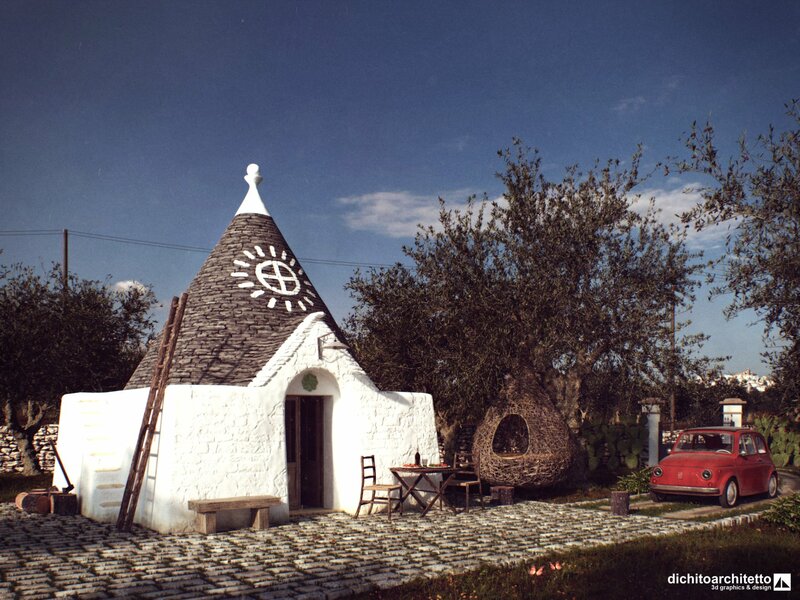 Maybe someone of you remembers the 3d model and render of a “trullo” (a small stone building) published here less than a year ago. 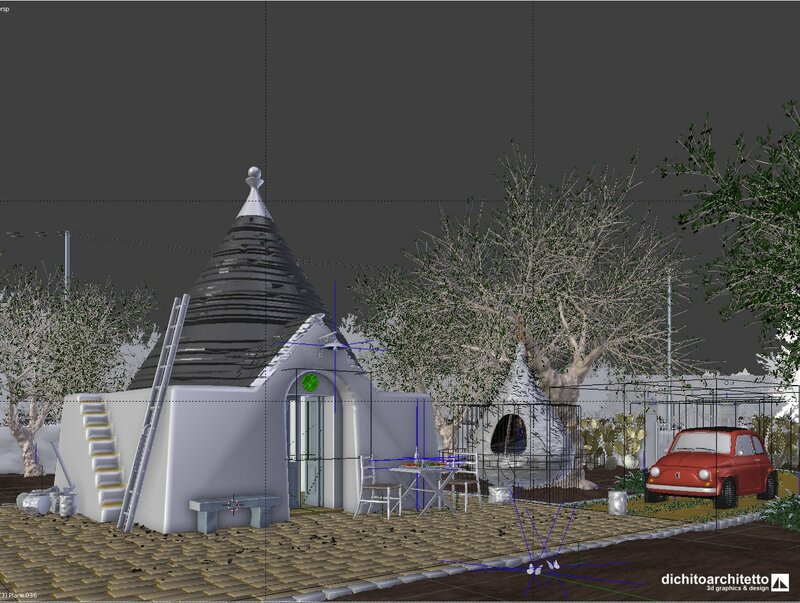 During last weeks I decided to work again on that scene and make some changes and improvements, thanks to the bigger experience in modeling, materials creation, post-processing and generally in the use of Blender. 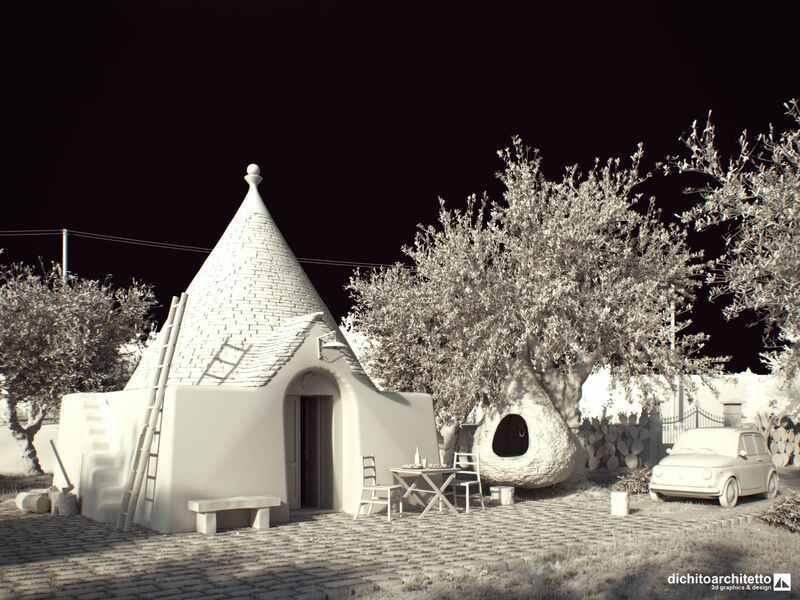 The result is a working day scene in the Apulian countryside (south of Italy), with a “trullo” dominating the scene; the work is interrupted by a brief meal (our typical friselle) and a nap in the “nziddha” shelter, suspended to a mighty olive tree. 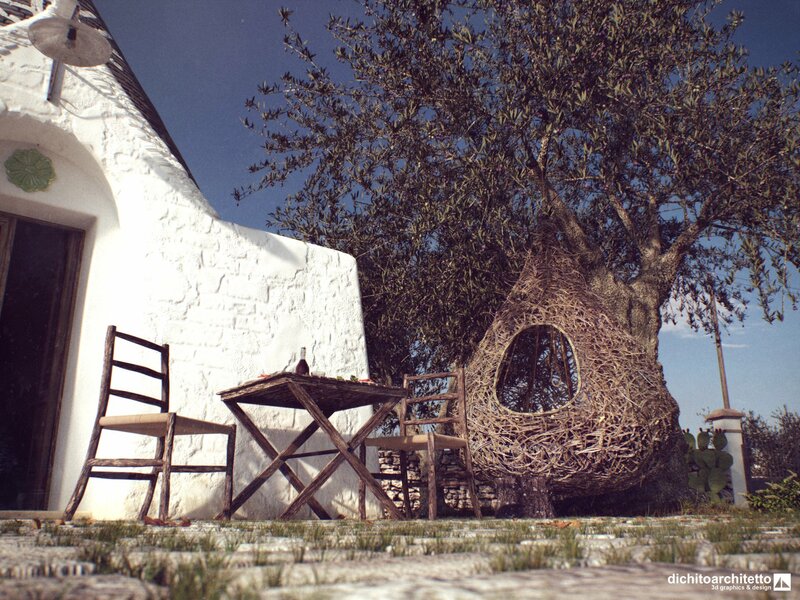 The image was then post–processed (with Blender and Gimp), to give a “vintage” look. 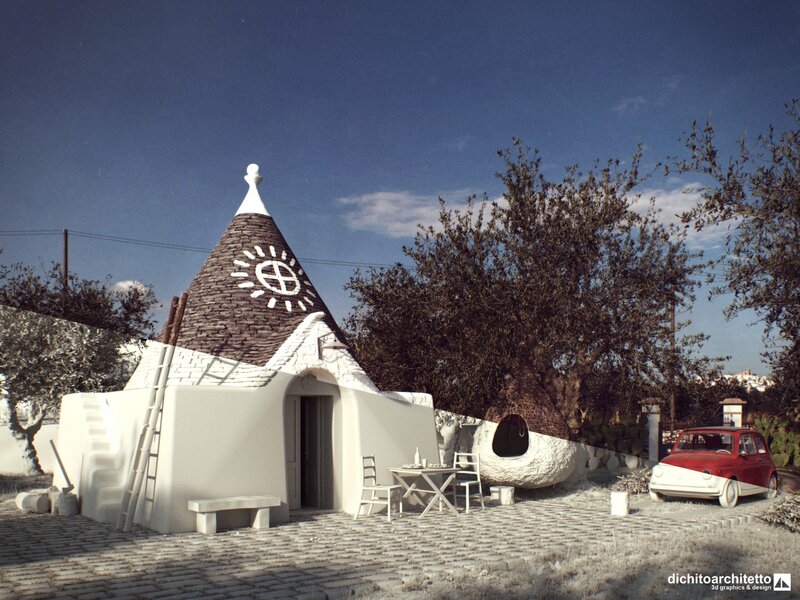 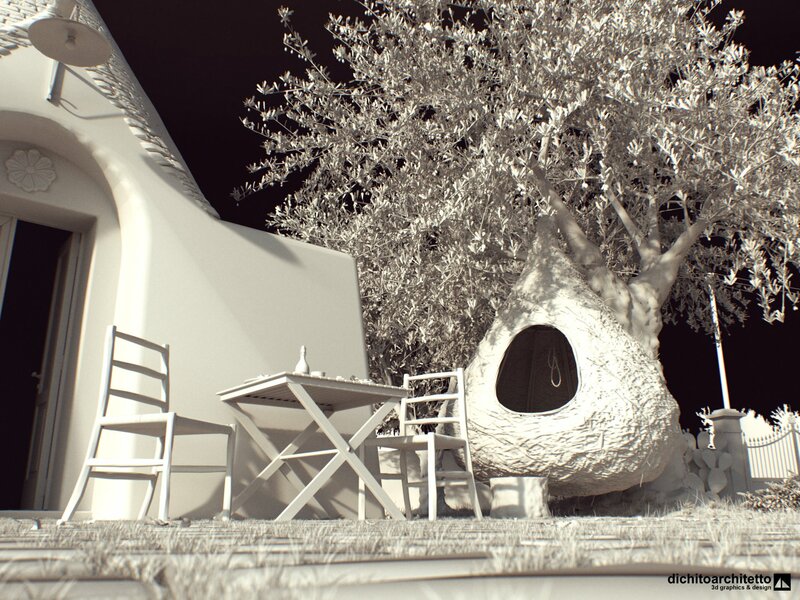 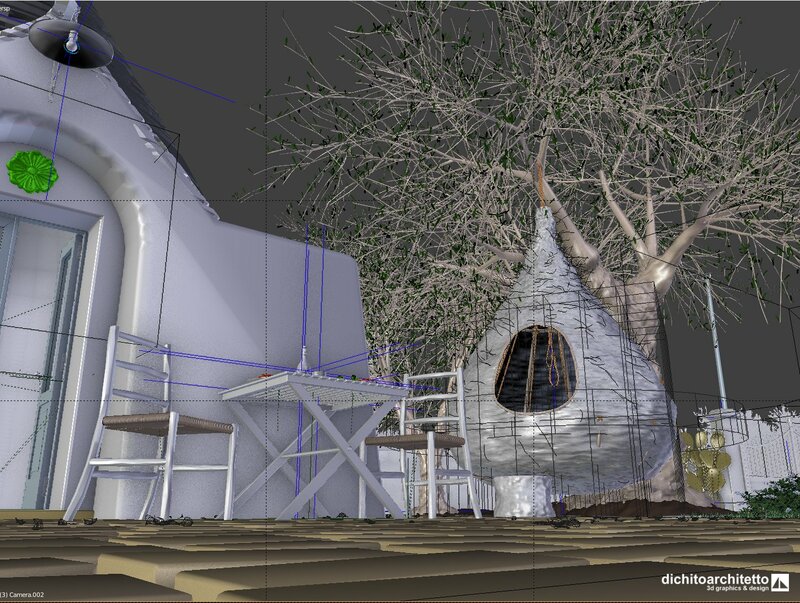 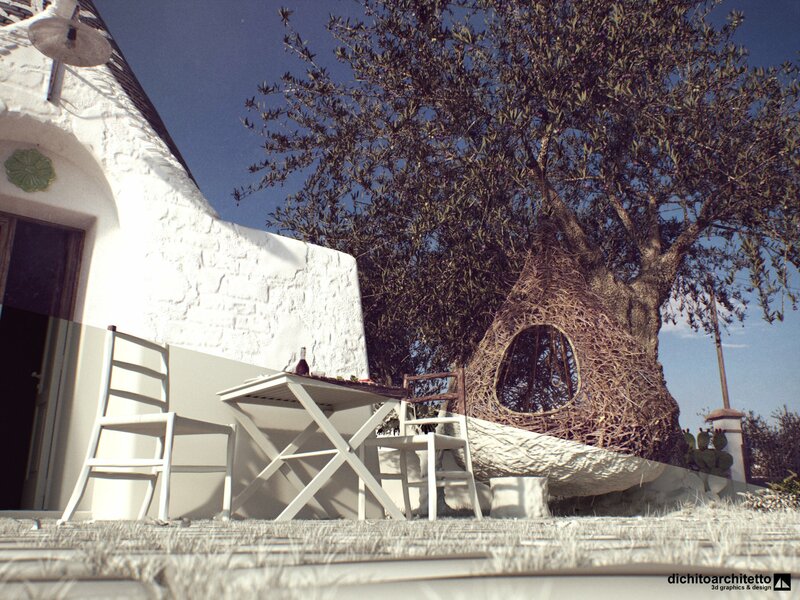 Tagged 2015, 3d graphics, 3d modeling, Blender, Cycles, Rendering, Trullo.